Ashkal Alwan – The Lebanese Association for Plastic Arts, is pleased to announce an array of new platforms and programs this fall, marking 25 years since the association’s inception. Embedded in Lebanon and the wider region, Ashkal Alwan has been committed, to facilitating artistic production, fostering critical thinking around contemporary discourses and realities, and engaging in community mobilization. Ashkal Alwan began in 1993 as an informal network of artists, writers, activists, and cultural practitioners who sought to reclaim their city by way of communal intellectual endeavors and artistic interventions in public spaces. Throughout the years, Ashkal Alwan has consistently striven to reinvent itself and expand its vision and objectives in response to shifting conditions. Today, the organization is housed in a rehabilitated factory floor, and its programs include: Home Works, a multidisciplinary forum on cultural practices taking place every three years; Home Workspace Program, a tuition-free annual study program for emerging artists launched in 2011; Video Works, an annual video production grant, as well as a mentoring and screening platform; a Residency Program for artists and cultural practitioners; the publication of literary works and artist books; and a publicly-accessible library with a unique collection of books, catalogs, periodicals, as well as audio-visual material focused on contemporary artistic, cultural, and textual practices in Lebanon and beyond. 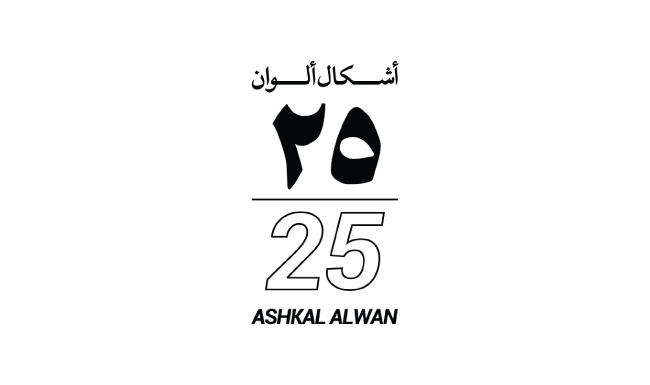 In celebration of its 25th year, over the next three months Ashkal Alwan will be launching a new website, featuring an interactive, user-friendly interface; an online open-access platform hosting the association’s extensive audiovisual archive; aashra, a video streaming platform with a rotating selection of 10 films and videos produced by Ashkal Alwan; and an anniversary exhibition with the works of more than 30 artists who are an integral part of the association’s history. Please stay tuned to our calendar for updates and upcoming events.